Good day to all my esteem readers.Today's write up will be about the comparative advantages of atomic wallet over other wallets I've used so far. NOTE : The writeup is based on my experience with the usage of all the wallets i listed in this write-up and thus I'll be recommending ATOMIC WALLET for everyone since it comprises of functionalities that are not found in other wallets. Before i proceed with the review, A crypto wallet is just like a bank account which is used to store, receive and send your digital currency to another wallet account Whether you want to trade in cryptocurrencies or want to have them as your asset, you must need to have a wallet account. Atomic wallet is a custody-free multi-asset cryptocurrency wallet with a lot of inbuilt functionality such as a single wallet for users to manage more than 300 different coins/token, the ability to use secure atomic swap technology to swap different currencies. The opportunity to buy cryptos with your bank card, 24/7 customer care support and a gateway to use instant exchanges such as changelly and shapeshift to exchange currencies not available yet in the Atomic swap technology. The wallet emerges with a custody free ecosystem to help user manage their crypto assets. BELOW IS THE LIST OF OTHER WALLETS AND THEIR CAPABILITIES. COINOMI : is a very user-friendly and streamlines the process for sending and receiving payments from different blockchains. It also supports more than 200 different digital tokens and a number of blockchains. The wallet is only available for mobile devices. It has an integration of shapeshift. however, most reviews of users about Coinomi are mainly negative. Many users complain of lack of support and funds being stolen out of nowhere. imToken is an Android and iOS wallet for ETH, BTC, EOS and ERC20 compatible tokens, it is centralized and lets users access the blockchain without locally storing it. It allows managing multiple-chain wallets with one Mnemonic passphrase. Quote: Same goes with imtoken wallet, Atomic wallet is way better than imtoken. 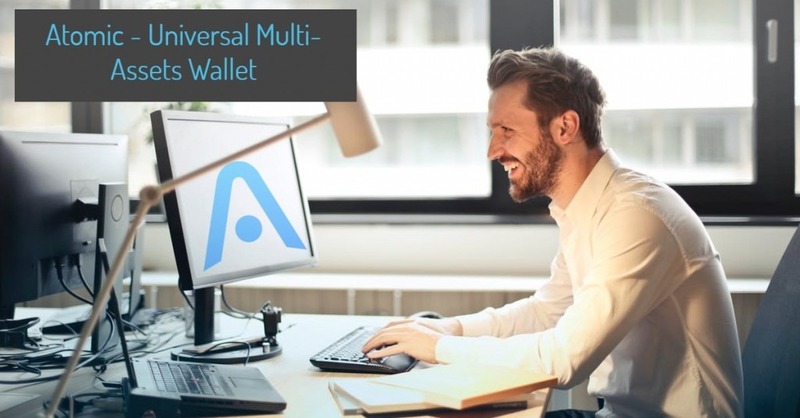 Among the functionalities Atomic wallet is having over imtoken include: swapping of coins with the secure atomic swap, A gateway to buy crypto, Ability to trade with instant exchanges such as shapeshift and changelly, support of more coins and tokens, 24/7 customer care support and availability of the wallet for virtually every operating system. Exodus It is a desktop bases wallet and is not available for mobile devices. Exodus supports more than 10 different cryptocurrencies and doesn’t plan on adding support for more, in the near future, because they only support the tokens that are accepted by ShapeShift. The cryptocurrency exchange, ShapeShift is integrated into Exodus. Jaxx is a popular multi-asset cryptocurrency wallet. Users can install Jaxx on their desktop computers or mobile phones. Jaxx is available for Windows, Linux, Mac, Android, and iOS. From the functionalities of atomic wallet i've written so far, you'll agree with me that atomic wallet is way better than jaxx wallet. ATOMIC WALLET is one of the most useful crypto resources that any user shouldn't miss out on. Its an all-in-one solution provided by a notable crypto experts to help users with the necessities required to reduce the effort spent on managing cryptocurrency assets. And the interesting thing is that all these functionalities are in one platform with an interface simple enough for any user whether expert or beginner to be able to use the wallet efficiently.